I have been wanting to write a post about this topic, for some time now. I saw a fair number of these types of wounds, working in Greece, over the summer. My interest in these types of unique infections started in med school, treating oil rig workers from the Gulf of Mexico with some advanced infections. I even personally experienced one recently, from a fall on some rocks, in Greece. Seeing VagabondingLife.com and their Travel Injury Pictorial, reminded me how common these infections can be and hard they are to treat properly. 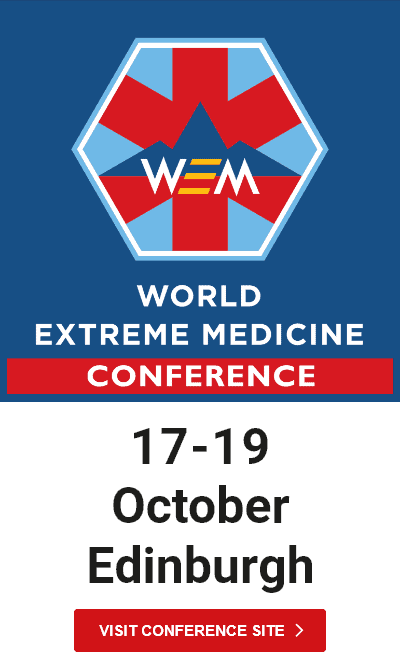 I was fortunate enough to hear Dr. Auerbach lecture on this topic, at the Expedition Medicine Conference and will attempt to do one of his favorite topics some justice. First, this is a very large topic to discuss and I will attempt to focus on superficial skin infections associated with marine environments, for this post. Basically, a cut or scrape that is exposed to salt water and then gets infected. Discussion of things such as contact dermatitis, marine animal envenomations and bites require another discussion. I think anybody who has spent anytime around salt water has gotten a scrape or cut, while in the water. For me, it has come from being bounced off a coral reef while surfing, slipping on rocks or having a cut from another activity and then swimming later in the trip. Anytime you break your skin and come into contact with marine water, you are at risk for specialized types of infections, not encountered on land or fresh water. This can best be accomplished with a syringe and we have special kits for this in the hospital, that make sure we are generating 10-20 PSI, adequate enought o remove most bacteria and foreign bodies. However, scrubbing may be necessary to ensure all bits are out of the wound. If you don’t have a syringe handy, you can puncture a hole in the end of a finger, on a rubber glove. Fill the glove with irrigation solution and squeeze down, shooting the solution out your pin-sized finger hole. The same principle can be applied to a plastic bag, just make your incision/hole near a corner, to make it easier to squeeze hard enough to generate sufficient pressure. Vibrio VulnificusThe marine environment carries with it some unusual bacteria. Some of the names to know are Vibrio, Pseudomonas and Mycobacterium Marinum. Under the genus of Vibrio, there are multiple species to watch out for but Vibrio parahaemolyticus and V. vulnificus are common. Staph and Strep are frequently seen pathogens, cultured from saltwater infected wounds. If your cut begins to look infected, showing signs of redness or a purulent discharge, antibiotics should be started. An expedition doc should look at the types of bacteria they want to cover and remember the above species are likely in the wound. Oral ciprofloxacin or tmp/smx are two good places to start. Most people do not require prophylactic antibiotics, following a cut or skin break that contacts sea water. Exceptions to this are those with chronic illness such as diabetes or blood disorders like hemophilia. Of course, people with a weakened immune system (AIDS, chemotherapy, long term steroid treatment) or prior liver disease like cirrhosis should all receive prophylactic antibiotics. Ciprofloxacin or tmp/smx are both good alternatives for prophylaxis, as well. Hopefully, everybody’s trip to the beach will not end in irrigating their wounds on the shore. But, this is a common injury and can lead to a serious problem, if infection if ignored. A little preperation and some irrigation can help keep an embarassing and funny story from turning into a scary and dangerous event!